Microsoft has announced a strategic partnership with BlackBerry, with the one-time Redmond rival set to provide security integration with Office applications. Terms of the agreement will see the vendors combine the cloud and productivity products of Microsoft, with the security and mobility solutions of BlackBerry. The result is the creation of BlackBerry Enterprise Bridge, an offering which provides a security layer across Microsoft mobile apps, tapping into a joint customer base housing the world’s largest banks, healthcare providers, law firms and central governments. 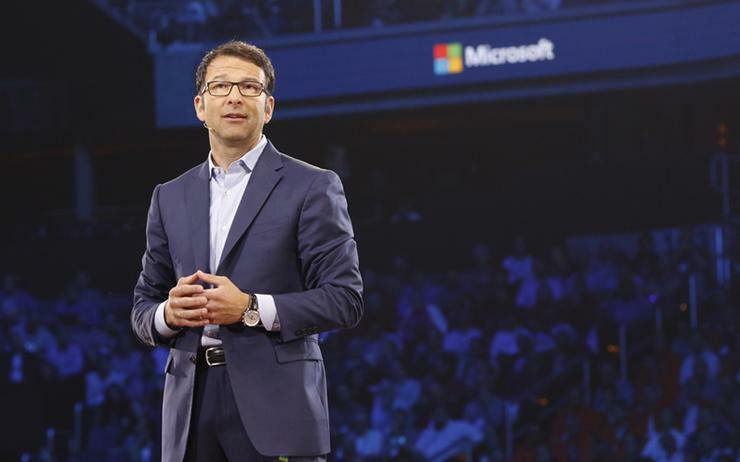 “In an era when digital technology is driving rapid transformation, customers are looking for a trusted partner,” Microsoft executive vice president of worldwide commercial business, Judson Althoff, said. “Our customers choose Microsoft 365 for productivity and collaboration tools that deliver continuous innovation, and do so securely. By making Microsoft’s mobile apps available from within BlackBerry Dynamics, Althoff said enterprise users will now have a “consistent experience” when opening, editing, and saving a Microsoft Office 365 file such as Excel, PowerPoint and Word, across any iOS or Android device. Furthermore, the solution aims to cover the data and privacy requirements of large-scale IT departments, through complying with corporate and regulatory policies. “BlackBerry has always led the market with new and innovative ways to protect corporate data on mobile devices,” BlackBerry president of global sales, Carl Wiese, added. In addition, the BlackBerry Secure platform has been integrated with the Microsoft Azure cloud platform, which includes BlackBerry UEM Cloud, BlackBerry Workspaces, BlackBerry Dynamics and BlackBerry AtHoc. “Along with a number of our peers in the financial services industry, we see strategic partnerships like this one as key to enhancing and bringing new products to market,” JPMorgan Chase CIO of global technology infrastructure, George Sherman, added.